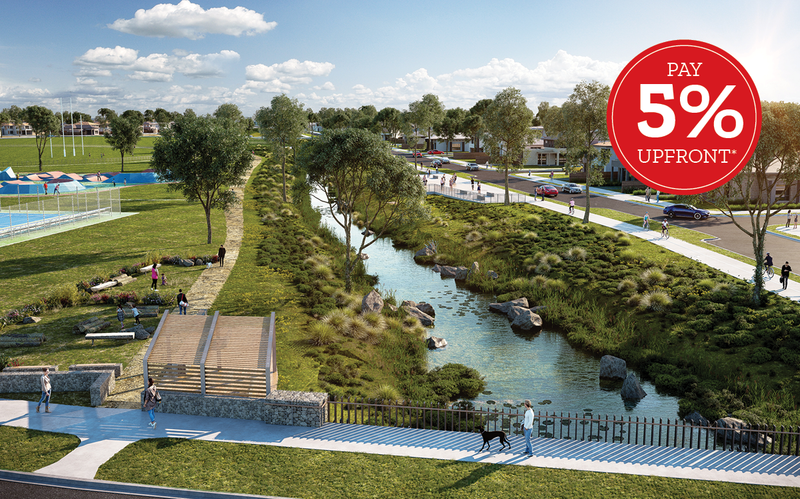 Only pay a 5% deposit upfront and 5% later* on all remaining homes in Stages 24 and 25. That means you can purchase land today with a little as $12,250! *5% Upfront offer is subject to the following terms and conditions: 1) The offer is only available on land in stages 24 and 25. 2) A 10% deposit is payable in two stages as follows: a) the first 5% deposit must be paid upon signing the Contract of Sale; and b) the second 5% deposit is to be paid by the 30th September 2019. 3) Subject to availability. For more information please call our sales team on (03) 8317 3478.